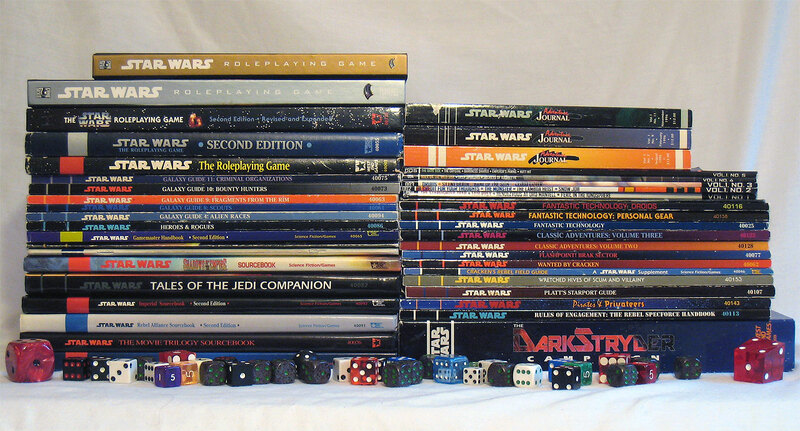 Tabletop role-playing games have something of a reputation among those who do not play them. The concept of a group of people sitting around a table and rolling dice together while pretending to be bizarrely named (sometimes not even human) fictional characters is intolerably alien to many: since the release of Gary Gygax and Dave Arneson’s original Dungeons & Dragons in 1974, role-playing games and their creators been accused of everything from promoting satanism to inciting their players to commit murder, and at one point had a sourcebook infamously seized by the United States Secret Service. Even as recently as 2005, the Israeli Defense Forces maintained a policy of restricting soldiers who played Dungeons & Dragons to low security clearances. Yet despite their many controversies, role-playing games have successfully managed to carve out a niche for themselves in the broader gaming market, and remain a popular form of tie-in product for many major franchises, Star Wars included. But given Star Wars’ longstanding “everything is canon” approach to its spawn, we can’t simply look at our role-playing games as mere offshoots of a prosperous fictional saga. 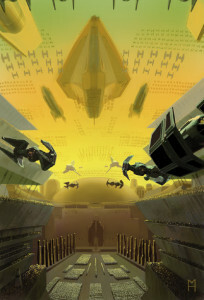 Unlike many of its contemporaries, Star Wars’ sourcebooks can and do directly influence the content of its books, video games, and comics: the information they contain being equal in weight and value to any mainstream work short of the films themselves. Perhaps this should not come as a surprise, given that a number of the franchise’s most prominent authors (Aaron Allston, Michael A. Stackpole, and Troy Denning, among others) had backgrounds in writing and developing role-playing games before they came to write novels for Star Wars. But despite this unprecedented level of acknowledgement for what would normally be considered purely supplementary material, it is their past that is of far greater interest to us than their present. Our chronicle begins with Star Wars: The Roleplaying Game, first published in 1987 by West End Games. Though their work on the saga is well-known to countless fans in the present day, at the time of their acquisition of the Star Wars license they were most famous for Paranoia, a still popular Origins Award-winning game (now owned by Mongoose Publishing) of dystopian life under the totalitarian rule of artificial intelligence, and another franchise tie-in role-playing game based on the (soon to be rebooted) film Ghostbusters. After reading The Last Command, did anyone feel the pressing need to know Jak Bremen’s life story? Probably not. Did anyone even remember who Jak Bremen was? Probably not. That still didn’t stop WEG from telling us far more about him than we ever thought we’d want to know, and doing it well. It would have been the easiest thing in the world for their work on Star Wars to begin and end with the films, to provide players with nothing more than the chance to reenact the adventures of their on-screen heroes, or to adapt only what material was provided to them by the saga. Many other developers and designers have done just that and continue to do so even now, and who could fault them for it? It wasn’t their universe, they had no hand in its creation. What was it to them? But they did not. West End Games chose to go far above and beyond what anyone could reasonably have asked of them. They put more thought into the history and inner workings of the Star Wars universe than almost anyone involved in the saga’s genesis, Lucas not excluded. Their series of Galaxy Guides vastly expanded upon what appeared on-screen in the Original Trilogy, providing us with everything from biographies for secondary and tertiary characters to an impressively detailed exploration of that infamous wretched hive of scum and villainy, Mos Eisley. Nor was this expansion pack approach limited to the content of the films: sourcebooks were released for each of the novels in the Thrawn Trilogy, as well as for Dark Empire, The Han Solo Adventures, the Jedi Academy Trilogy, The Truce at Bakura, Tales of the Jedi, and Shadows of the Empire. And then you have products like Planets of the Galaxy, Creatures of the Galaxy, and Alien Encounters, which went ahead and added a tremendous amount of new lore to the universe solely for the sake of adding new lore to the universe for players (and future authors) to make use of in their own stories and adventures. 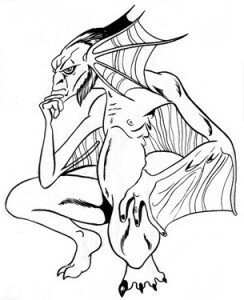 WEG, you know I love you, and nothing is ever going to change that, but it has to be said: your alien design sessions involved way too many acid trips. Chances are, if you want to know how something works, West End Games had a hand in coming up with the answer. How Jabba got his slimy hands on that rancor? The internal organization and structure of the Galactic Empire? Just what it is that bounty hunters do? Their influence on the development of the galaxy far, far away cannot be overstated: what they did not create, they almost certainly had a hand in developing for use by later authors. 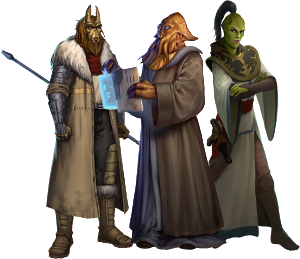 Even now, after the slate was wiped clean, we’ve already seen some of their creations resurrected as part of the new canon in the form of COMPNOR and the Imperial Inquisitors. In a sense, they’re the architects of what we came to accept as the Expanded Universe, having provided much of the foundation upon which almost everything else was constructed. At the very least, it is in their works that we can glimpse the origins of our enduring quest to collect and collate every bit of information about our beloved fictional universe that we can, no matter how seemingly minor or insignificant it may be. If they had not given the galaxy a level of detail to rival our own, would we still have been inspired to lavish such attentions upon it? I think not. All good things must eventually come to an end, however, and Wizards of the Coast (having also recently obtained ownership of TSR, and with it Dungeons & Dragons), acquired the license in 1998. With the impending release of The Phantom Menace looming over them and the need to remake the game from the beginning in their own image, Wizards understandably relied more heavily on making use of established lore than adding to it themselves. Early works such as the Rebellion Era Sourcebook or Alien Anthology read more like compilations of preexisting material with statblocks attached than completely new works. But perhaps that’s all that should have been expected, when comparing West End Games Herculean efforts against the norm. The lion’s share of the work in expanding the Star Wars universe had already been done for them, after all. But that is not to say that Wizards did not provide their own fair share of contributions to the greater canon, however, only that it took a while for them to find their footing. Ultimate Adversaries, as the title implies, provided game masters with a veritable shopping list of entirely original enemies to antagonize their players. Despite the many intriguing character concepts offered by such products, unfortunately only a small handful ever made the jump to novels or comics: the most notable among them being Set Harth, who became a became a prominent supporting character in Darth Bane: Dynasty of Evil years later. Also reminiscent of the works of West End Games was the Scavenger’s Guide to Droids, which gave names and backgrounds to many types of thinking machine only ever seen in passing before. In some ways, it could be said that existing characters were Wizards’ weak point, and that their strengths were in places less obvious: much of their best work had more to do with places and things than people. Take Coruscant and the Core Worlds and Geonosis and the Outer Rim Worlds, for example, both of which contained largely original information and lore, even when dealing with preexisting planets. Similar, Living Force was far more than just a simple campaign, encompassing countless adventures and articles set on and around the entirely original world of Cularin and its inhabitants. The sheer amount of material released for it and the self-contained nature of its setting makes it a serious candidate for the title of most thoroughly explored planet in the Star Wars universe. Worthy of very special note for an entirely different reason, the 2002 adventure Tempest Feud was later adapted into novel form in Jeff Grubb’s Scourge in 2012, the only role-playing supplement ever so honored in the history of the franchise. Due to the economic downturn, Wizards of the Coast elected not to renew the Star Wars license with Lucasfilm in 2010. Instead, the license went to Fantasy Flight Games, who lacked any titles to their name as famous as Wizards’ Dungeons & Dragons (before they obtained Star Wars, Warhammer was likely their most widely known property), but nevertheless possessed a broad range of well-regarded board, card, and tabletop role-playing games, many of which have a reputation for their remarkable high quality art and illustrations. Thus far, they seem to have taken their notes from the high points of their predecessors’ runs: in the absence of any guidance regarding the state of the galaxy outside of the films (and obviously restricted by the upcoming release of The Force Awakens and its assorted tie-ins), they’ve gone back to the franchise’s roots with the Galactic Civil War, and their first two sourcebooks sidelined Jedi entirely in favor of navigating the galactic underworld in Edge of the Empire and battling against the Empire in Age of Rebellion. Fantasy Flight Games reminds me a lot of a beloved old black-and-white movie being faithfully remade many years later in color, and with a bigger special effects budget. Force and Destiny, which will finally give players the long-awaited opportunity to wield a lightsaber, is currently set for a third quarter 2015 release. However, given that Warhammer 40,000 (a far less popular franchise, it must be said) currently enjoys no less than five separate lines under their ownership, we can only assume that Fantasy Flight Games will not stop there. Going forward, once we have a clearer vision of where the Sequel Trilogy plans to take the saga, I imagine we’ll begin to see a shift in the focus of Fantasy Flight Games’ new releases. The opportunity to capitalize on the hype generated by the new films will demand it. It is my sincere hope that, in this arena, they will be permitted a degree of freedom to build on The Force Awakens and the works surrounding it in the same way that West End Games once did for the Original Trilogy. Decades of galactic history were erased when the Expanded Universe was rebooted, and it will likely take decades more for new novels, comics, and video games to fill in the blanks to a similar degree. Role-playing games are in an excellent position to assist in this endeavor: worldbuilding is their trade and specialty, and they can provide large volumes of information (especially of technical and historical natures) without having to worry about it getting in the way of the plot, as it would in a more mainstream work of fiction. Furthermore, role-playing games can provide a tremendous service to authors new to the franchise (and even those already familiar with it). The characters, worlds, and technology that they create are often profiled in some detail, but still come essentially without any strings attached regarding what can be done with them. They exist for players to make use of in their games however they should choose, and the same freedom should be afforded to authors. 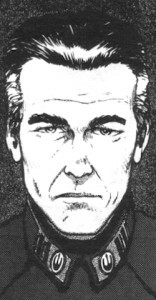 Even including an appearance by a colorful character so minor as Urias Xhaxin can enrich this fictional universe, while at the same time the author is saved the trouble having to put so much energy into developing the concept of a character they only intend to wield sparingly. Surely such an approach would be preferable to importing more material from the Expanded Universe we just finished retiring. Let role-playing games do what they do best, and provide the same service for new authors as West End Games did for Timothy Zahn. I promise you, this pocket universe of ours will be a richer and more interesting place for it if we do.